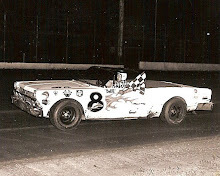 Waterloo, Iowa (August 9, 1959) – Iowa City, Iowa’s John Moss came within two hundredths of a second of breaking the track record in winning the modified stock car feature at Tunis Speedway on Sunday evening. 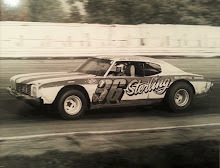 It was the fourth feature win at Tunis for Moss who also scored the victory at the Benton County Fairgrounds last week. A crowd of 3,016 saw the races. 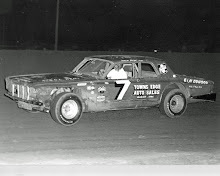 Bill Hap of Muscatine grabbed the lead early in the 20-lap feature but Moss broke free and passed him in the early laps and was never challenged after that. 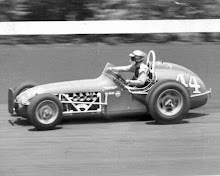 Mid-season champion Bill Zwanziger of Waterloo, Iowa, was the next driver to break away from the pack but was unable to mount any challenge towards Moss. 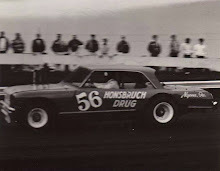 Moss turned in a 20-lap time of 6 minutes and 25 seconds, which didn’t top the record held by Zwanziger at 6 minutes and 23 seconds. Moss also won the third heat. Tuffy Meyer of Big Rock, Iowa, was another double winner. Meyer won both the first heat and the class A semi.